In Barbados, you have many places to host the wedding venue for your family and guests. 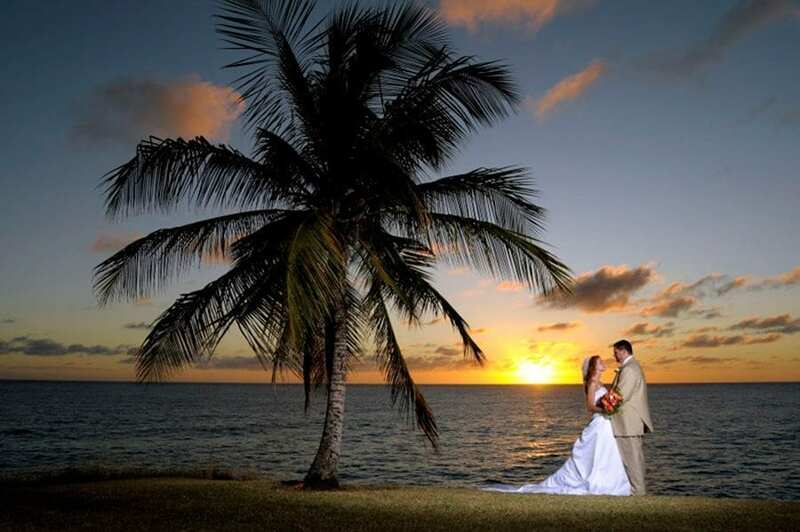 If you have decided to have your wedding in Barbados, you need to choose a suitable place for the Dream Wedding Venue. You may be having a traditional white wedding and have a large wedding party attending, in which case you may want to stick with tradition and have a formal sit-down meal complete with speeches and cake, and an evening buffet, live music, and dancing. In which case you should look at holding your wedding reception at one of the larger venues (hotels) where they can accommodate all of your requirements. Or maybe you are having a church wedding with just a small number of guests, but you would still like a sit-down meal and all the trimmings, in which case you may look at booking a restaurant with a sea view, where you can still enjoy excellent cuisine but in a smaller more intimate venue. Alternatively, you may be going for a very unusual wedding and getting married on the beach and would like a beach party afterward to celebrate. In which case then you should look at hiring outside caterers to host a beach BBQ for you at a suitable beach venue for your wedding and your guests. Perhaps you have decided to get married out at sea and will have a party on the boat afterward. In which case you can organize all the food and drinks with the catamaran or boat owner when you are booking your trip to the wedding venue. If you are getting away from all the stress of a wedding at home, then you may just want a simple party after the nuptials, and therefore you may want to look at hiring a beach bar for the event. Here you can wander out onto the sand for the ceremony and when you have said ‘I do,’ you can return to the bar for an ice-cold glass of champagne and mingle with your guests. Most bars and restaurants on the island will accommodate and organize a special menu (buffet style if you prefer) for the reception venue. Another option when hosting your wedding and bringing all your guests with you is to hire a luxury villa that can sleep many couples, for the occasion and this solves the problem of where everyone will stay. It gives you much more of a homely feel as you have your family staying with you in the build-up to the wedding. You can get married in the beautiful tropical garden and have the villa staff on hand to cook, serve the drinks and do the clearing up afterward. You could even hire a band to play as you dance the night away under the stars. If your wedding party is going to be bigger than just the guests in the villa, you may need to look at outside caterers coming in for the event. The possibilities for weddings in Barbados are endless as you can pretty much get married wherever you like and celebrate afterward in any fashion that you so desire. So many couples choose Barbados for this reason, and there are many experienced wedding planners and coordinators on the island whose job is to take care of every detail for you, ensuring that you have an unforgettable day.